In a palace cottage in the Italian province, a meeting of herb breeding traditions and the most innovative scientific research create a new line of natural products. 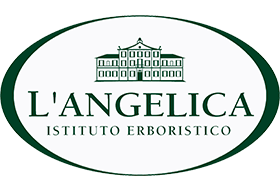 Herbal Institute L'Angelica dedicates the best of nature to health and beauty products. The institute was founded in 1981 in a villa of the 19th century, Villa Angelica, located in the vicinity of Bologna. Here the harmony and the natural balance of the surrounding environment become a leading philosophy of the way of work and leave a trace on the products that meet the ancient knowledge of plants and herbs and contemporary scientific discoveries. Thanks to the research aimed at the general human good, the L'Angelica Herbal Institute today is a trusted partner of all companies that use natural extracts and innovative technologies in their product. Personal care products (shampoos, shower gels, toothpaste, etc.) or for healthy eating (teas, syrups, supplements, etc.) are created. These are products designed to take care of you naturally, in complete harmony with the rhythm of your body. Incosmetics JSC is an official distributor of L'angelica products for Bulgaria.